Performers at telethon to benefit 1985 flood victims. Photo by Michael Keller. 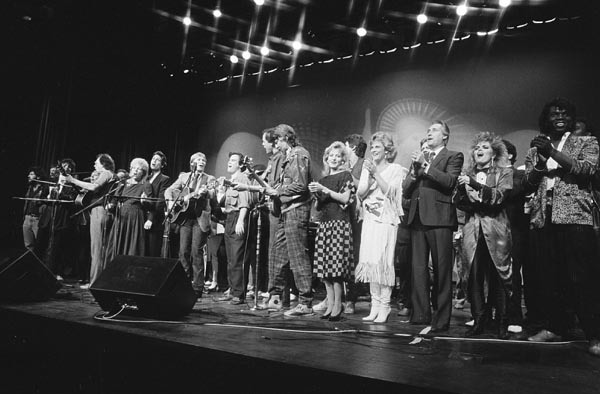 A telethon to benefit West Virginia flood victims was held at the Cultural Center in Charleston on December 8, 1985.